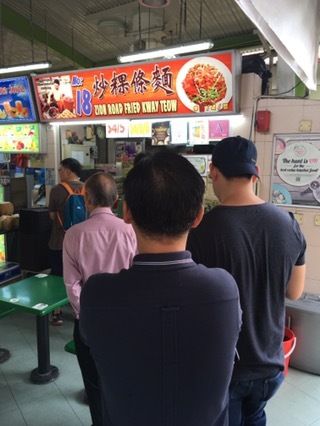 As I was devouring my Teochew char kway teow from my previous post, I spotted another char kway teow stall but with a long queue. So after I finished my plate of goodness, I went to queue to check out how good this is. I even asked the people queueing why this has a longer queue. 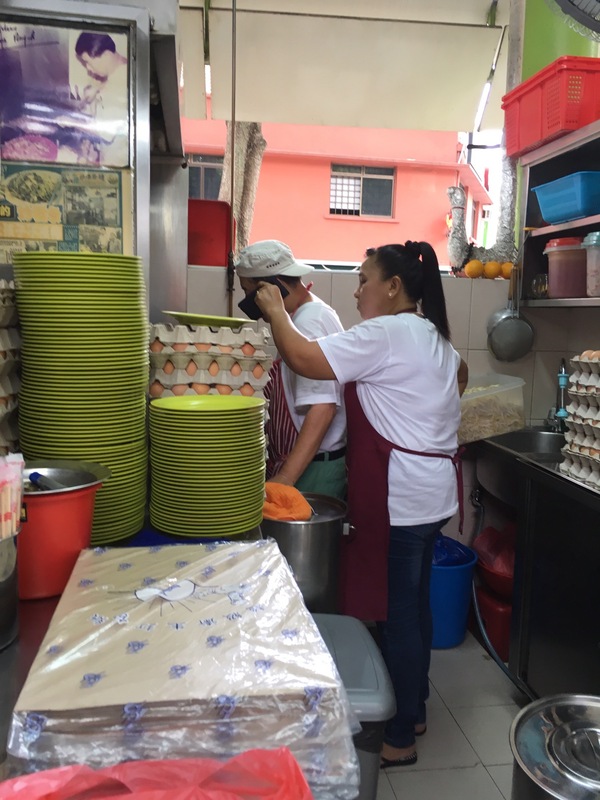 He told me the kway teow here is a lot darker hence sweeter than the previous stall. So here’s my verdict. Quite a lot too for the price! Aunty taking and packing orders. Uncle focus on the frying. Stall 18 Zion Food Centre, 70 Zion Road. 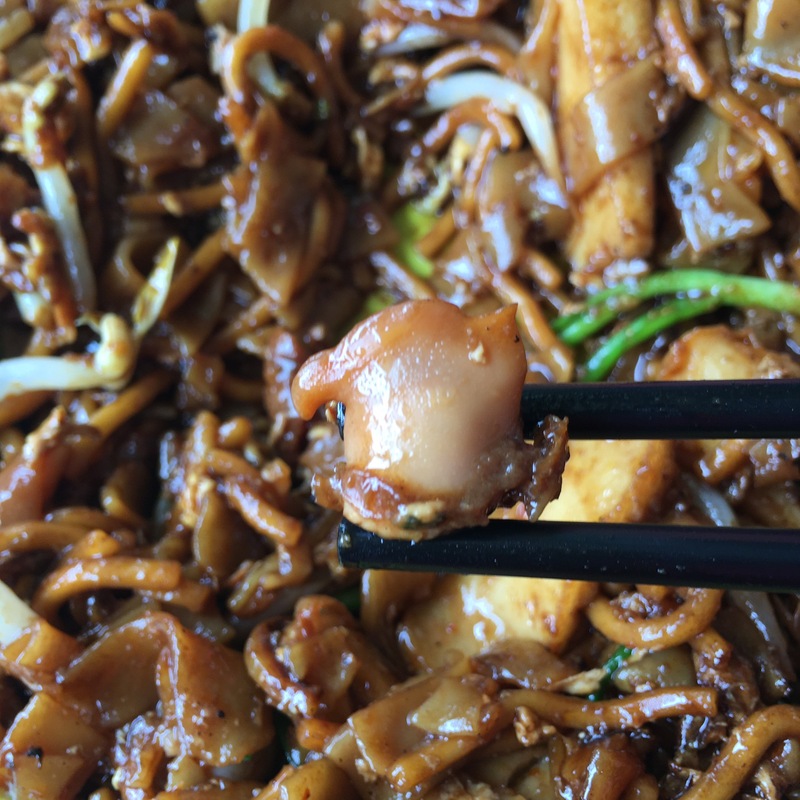 The Kway Teow here is fried in lighter tones and I kinda like the texture. Very very tender. Seems like they have braised the flat and yellow noodles prior to re-frying again. Taste wise is not as rich, and not so oily too. Quite a lot for $3.50! Grumpy uncle. Biz must be bad that day. Stall 20 Zion Riverside Food Centre, 70 Zion Road. Was around Hougang today so I pop in to try this stall that sells only Char Kway Teow. The stall is Lai Ji Cooked Food at unit #01-39. Stall do not have any ratings and own by an uncle. He has a China lady who is helping him and her frying is pretty good as well. Taste: Very tasty, not too sweet, not too oily. That is why there is a queue during peak hours. Portion: Very good for the price. Was a little hungry after my performance at Jurong Point on Sat so I was driving along Beach Road then I turned into the place to check out some good food. I know the claypot rice is famous there but they were not ready yet. 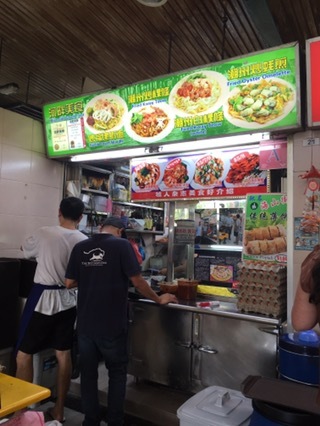 So I was on the upper level and walking around and found this pretty famous char kway teow place. I know I’m not suppose to feature famous ones but they are affordable and no pork/lard for my muslim friends! I was there at about 4pm hence during that time not many people so I was next in the queue. I sat right in front of the stall as you can see from this pic. So I ordered my $4 plate it came after a 5 mins wait. 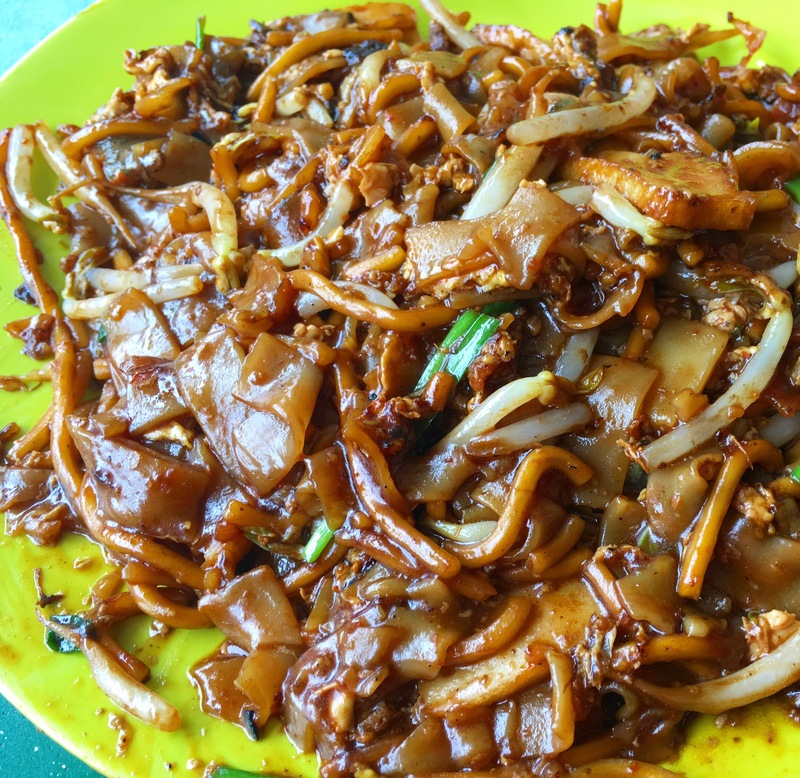 Their signage claim that they use superior stock to fry their kway teow… hence I have to try it. 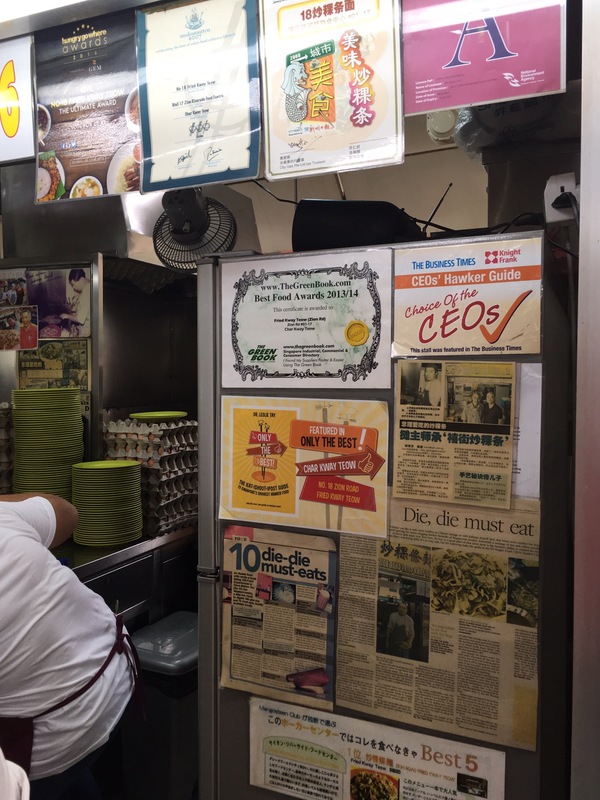 When my plate of char kway teow was ready, I was asked to stand up and walked over to the stall to pick it up myself even though there were no one else in the queue… for this, I’ll discount the stall a lot on their rating. Taste: Quite good. Not too sweet. Cockles were fresh. 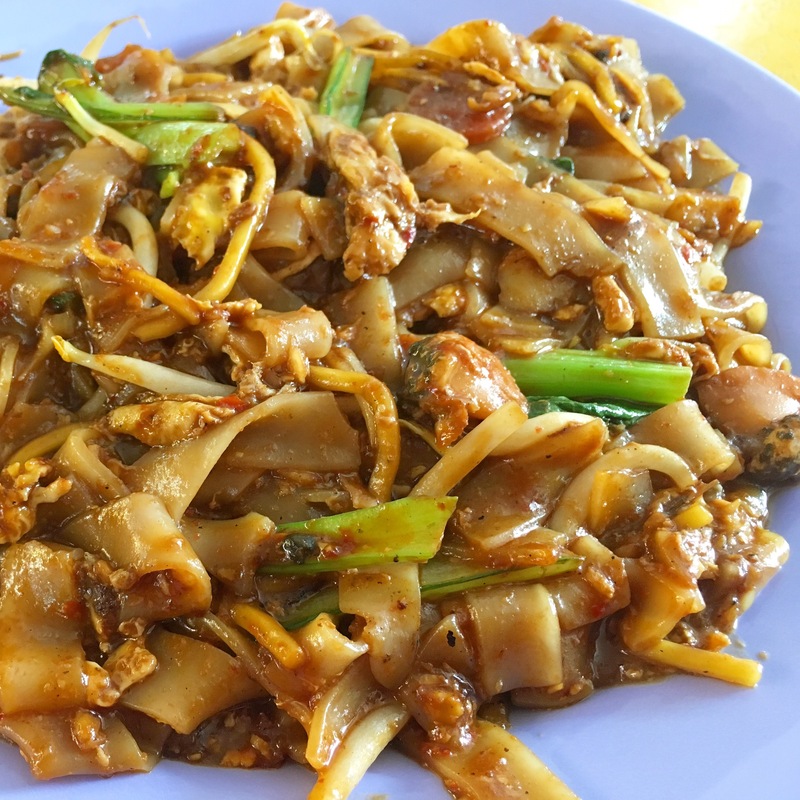 Kway Teow was tender and nice. Somehow without pork lard, the taste is not as fragrant as it should be. Will try to feature the other one at Pasir Panjang… I believe that’s original. RTE: Maybe if I have nothing else to eat at Beach Road Hawker Centre.